The PeakTech 5610 is a versatile thermal imaging camera with a resolution of 220x160 thermal pixels, which makes temperature differences easy for any user to see. Take advantage of this new development, e.g. 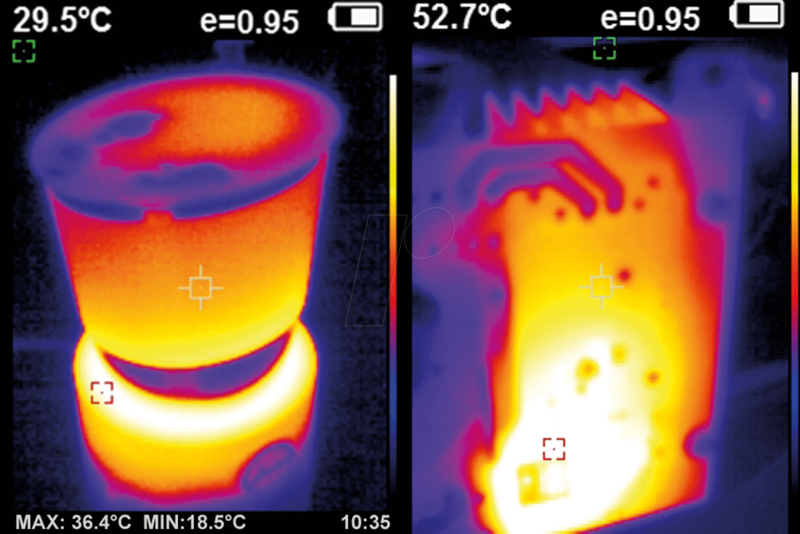 to find thermal bridges in thermography, leaks in equipment and tube systems or track heating pipes in walls and floors. In electrical engineering, this thermal imaging camera offers the possibility to find contact problems and contact resistances easily, e.g. in subdistributions and thus to prevent a fire hazard in time. This device also has five different thermal imaging color palettes, as well as five overlay modes for photo to thermal imaging, so that the user can easily locate the source of the problem in the real image or one of the overlays.